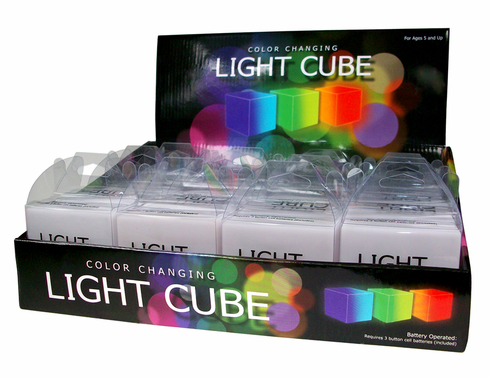 This light cube gives off a soft color changing light. It is 2.5"x2.5"x2.5". Great as a mellow night light. Comes with 3 button cell batteries included. Price is per Light Cube!